Nothing makes a statement like a bow tie. 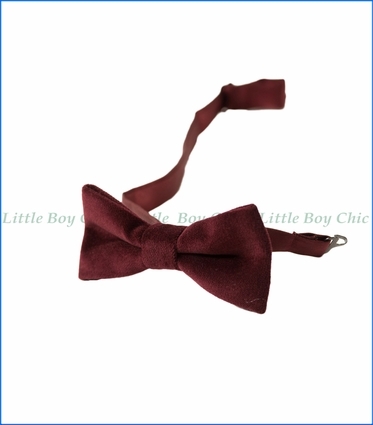 This kids formal wear tie has the class and elegance that any occasion may call for. Hook-and-eye closure. One size fits all. Pair with Appaman's 2-Pc Mod Suite in Tibetan Red Velvet.